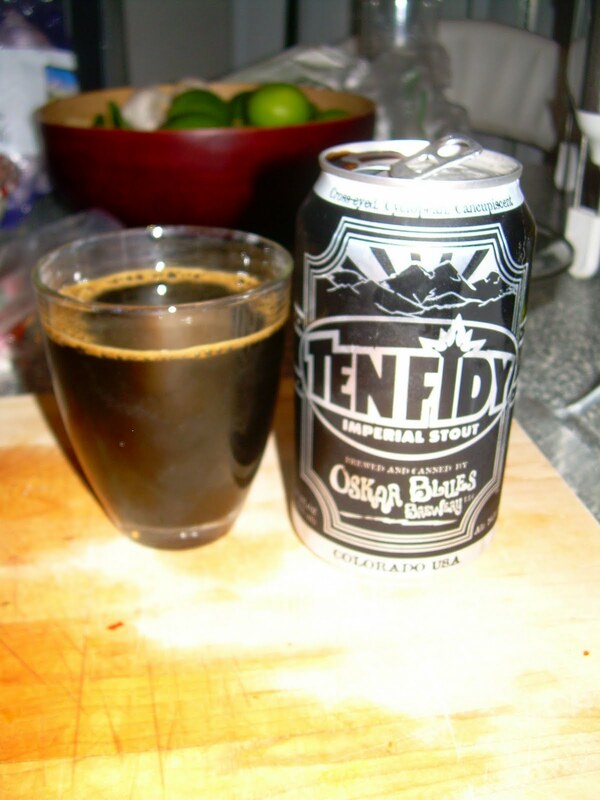 My opinion of Oskar Blues went a little south after Gubna, so I took this beer with a grain of salt, LITERALLY. Crack this baby open and... nothing, nada. Pretty much flat. I don't know if that's the packaging talking or the brew itself, but it was disappointing. The "head" is a very dark espresso color, and fortunately the taste is not as syrupy as you might expect. The alcohol (why they call it "Ten Fidy" I suppose) and sweetness blend nicely, and the finish is full of roasted whatevers: the hallmark of a delicious stout. I am, overall, pleased with this beer. I'm not astounded, and there are better ways to spend your money, but in a pinch I would easily buy it. So yeah, this review was boring, but I think I'm still recovering from the bus tour.